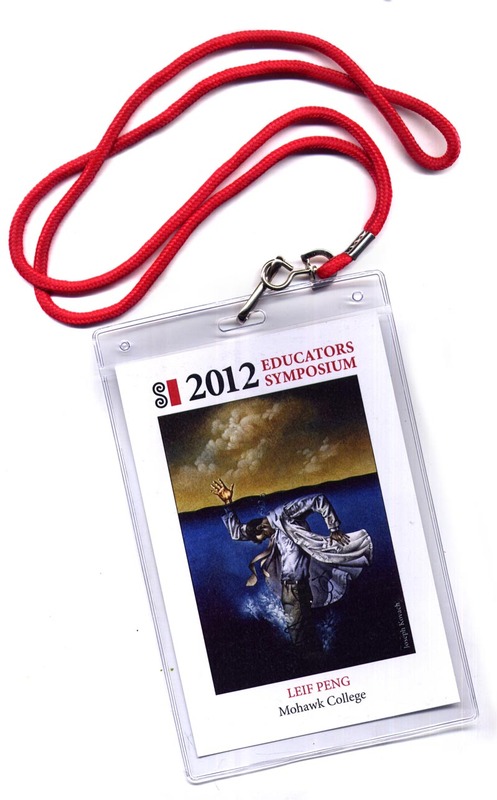 At this time last Friday I was in New York for the 2012 Society of Illustrators Educators Symposium. Wendy and I had left Toronto on a 6 a.m. flight (got up at 3 a.m. - ugh!) 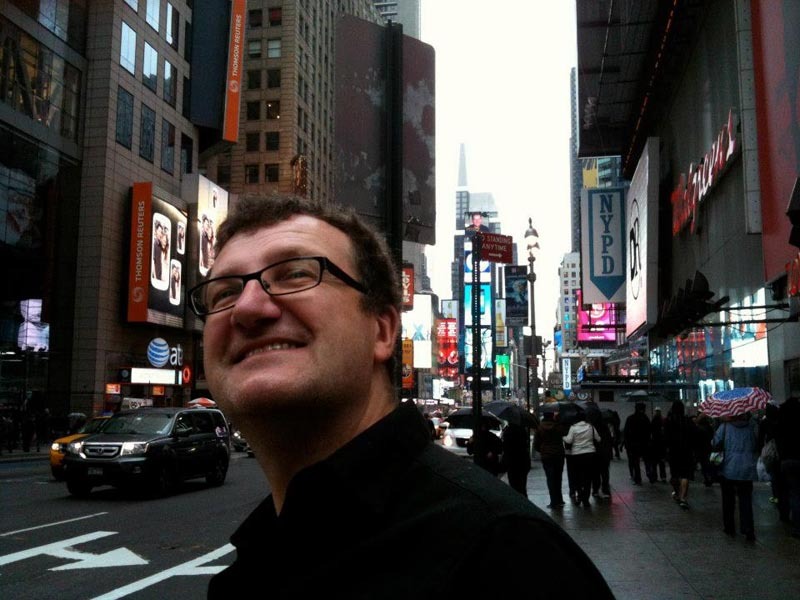 so no surprise that I looked a little bleary (but very happy and excited) to be in "the city that never sleeps." The Society of Illustrators, near the corner of Lexington and East 63rd, was just a short walk from our hotel on Central Park South. Here's the view from our room on the 21st floor of the Ritz Carlton Hotel. We were on the north side of the building so no view of Central Park. But let's face it, any view of New York is an interesting view. I've only been to the Society once before - and I was feeling pretty nervous and excited to have been invited to speak at this event, to such an esteemed group of members and fellow educators - so Wendy took a picture of me at the entrance as I was about to go in to register. Here's what our ID badges looked like. The beautiful illustration that adorns the front of the badge is by Joseph Kovach. Here's a link to his website. The weekend was packed with interesting discussions and opportunities to mingle. My talk was to be on Saturday at 12:30, but on Friday I was most looking forward to meeting my friends Murray and Carol Tinkelman once again, having lunch with them and catching up. It was thanks to Murray that I had the opportunity to visit the Society for the first time two years ago, an amazing experience I wrote about in this post. Murray and Carol were as wonderful and welcoming as before, the great people at the Society - Executive Director Anelle Miller, Exhibition Director Kate Feirtag, Director of Public Relations Katie Blocher and everyone else I met - were so gracious and helpful. Everyone made me feel very welcome and very much at home. It was a beautiful, sunny, unseasonably warm day in New York so we had a terrific lunch on the patio. 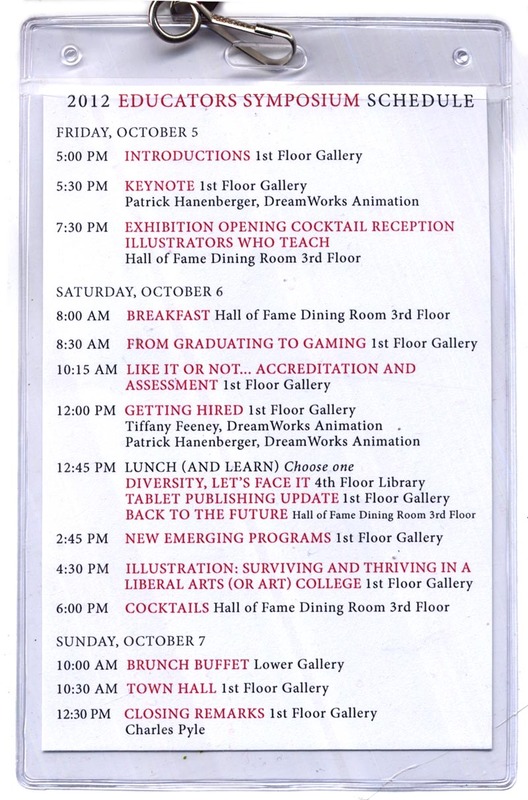 All the lectures I attended over the course of Friday and Saturday were excellent, but I was really blown away by the Saturday morning panel discussion with three young pros who work in the gaming industry, moderated by Whitney Sherman, Director of the MFA in Illustration program at MICA. Tim Coman of Epic Games, Taylor Fischer and Marc Scheff gave an inspiring talk that had me nodding like a bobble head doll. All three generously and expansively described what qualities the gaming industry is looking for in graphic artists hoping to enter the field. I was greatly reassured to hear them describe many of the same strengths we have been teaching all along in our Graphic Design program at Mohawk College: foundation skills, sketchbook drawing, a focused portfolio that emphasizes the artist's strengths and interests, active participation in online artistic forums and groups, good communication and social skills including a comprehensive use of social media tools, entrepreneurial spirit, creativity and above all, a passion to do great work. My "Lunch and Learn" talk was well attended and went by in a flash (at least from where I was standing at the podium). 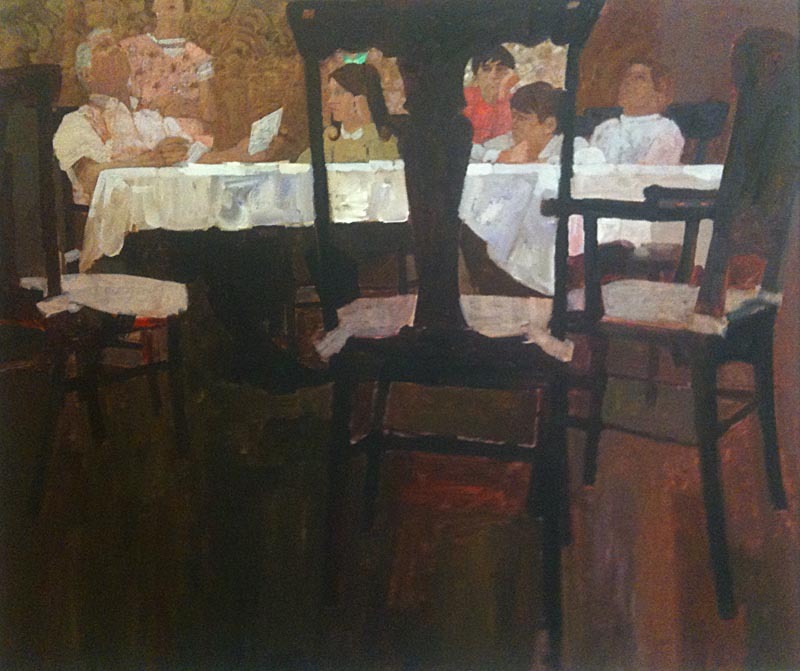 Murray and Carol and many new friends from art colleges all across America listened while I shared stories and anecdotes from the lives of illustrators like Bernie Fuchs, Marvin Friedman, Al Parker and others. I explained how I incorporate their stories and artwork in my curriculum; sprinkling my lectures with anecdotes from the lives of both celebrated and forgotten artists of the past to help my students see them as people who faced challenges and adversity and found success through the strength of determination - as well as through talent. I stressed to my audience the importance of graphic arts educators helping today's students come to appreciate that they are part of a continuum. Our profession has a long and colourful history. Each new generation of graphic artists should feel pride and a sense of belonging in being a part of that heritage. Later that evening, after spending a while chatting at the noisy, lively cocktail reception in the bar, a few of us snuck away with SI Collection Manager Eric Fowler, to take in some original art on the fifth floor. 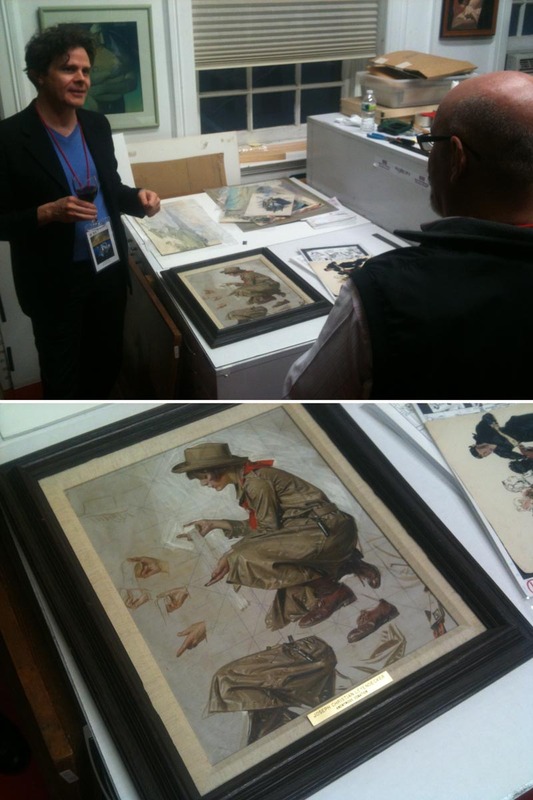 Right away Eric stunned us by pulling out this beautiful J.C. Leyendecker original. 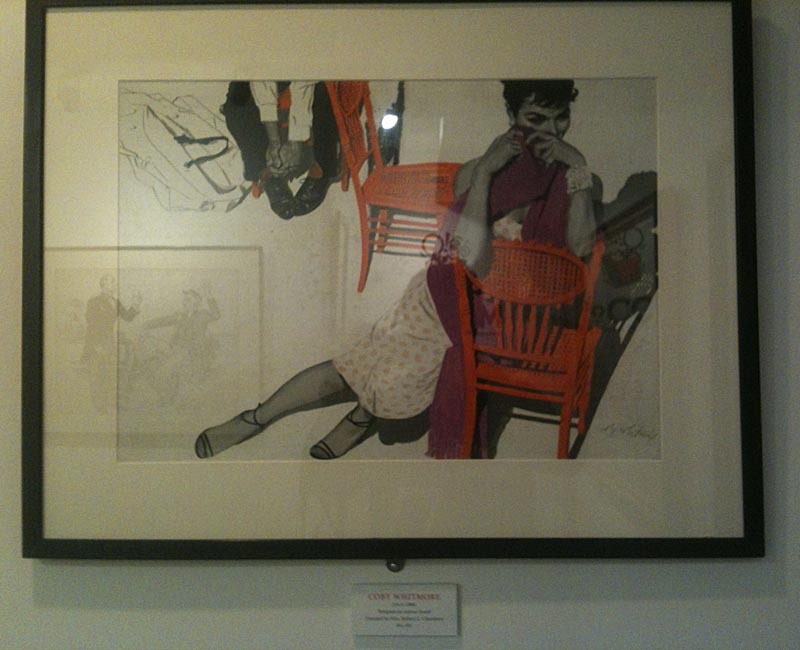 I was so pleased to finally meet Roger Reed of the Illustration House that weekend. Here's Roger with another new friend, George Fernandez, Illustration prof from Farmingdale State College. 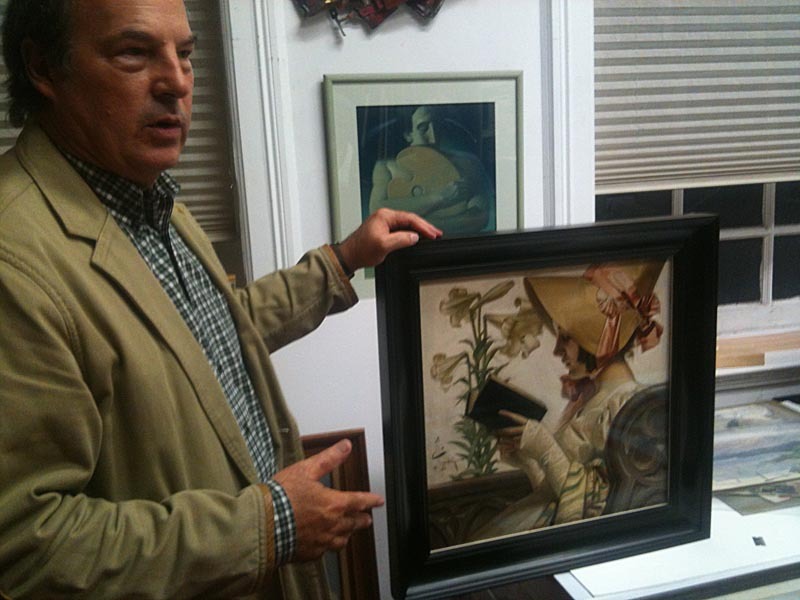 Roger was telling us that you'll often see in the top corner of these old Leyendecker studies (under the frame), the number "2" - meaning "$2" - the price they were charging for them at the SI estate sale after J.C.'s death. 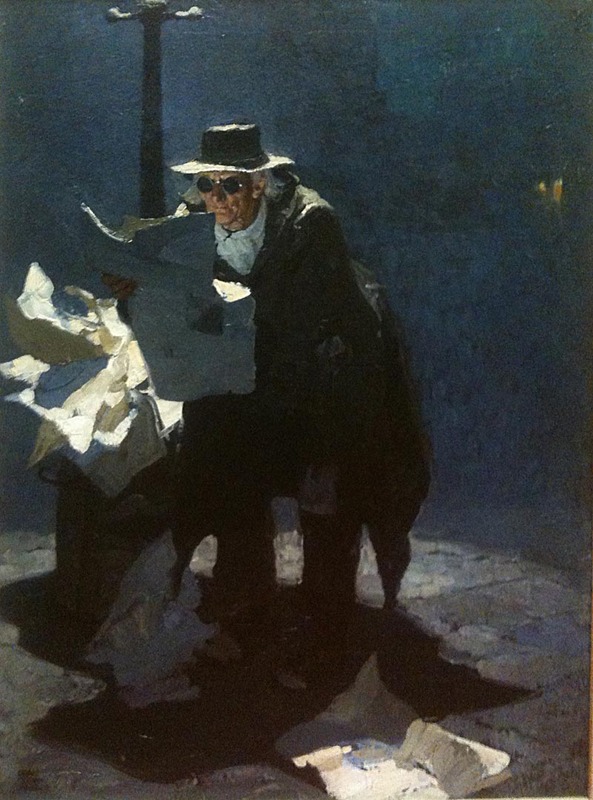 Below, a remarkable Dean Cornwell painting. 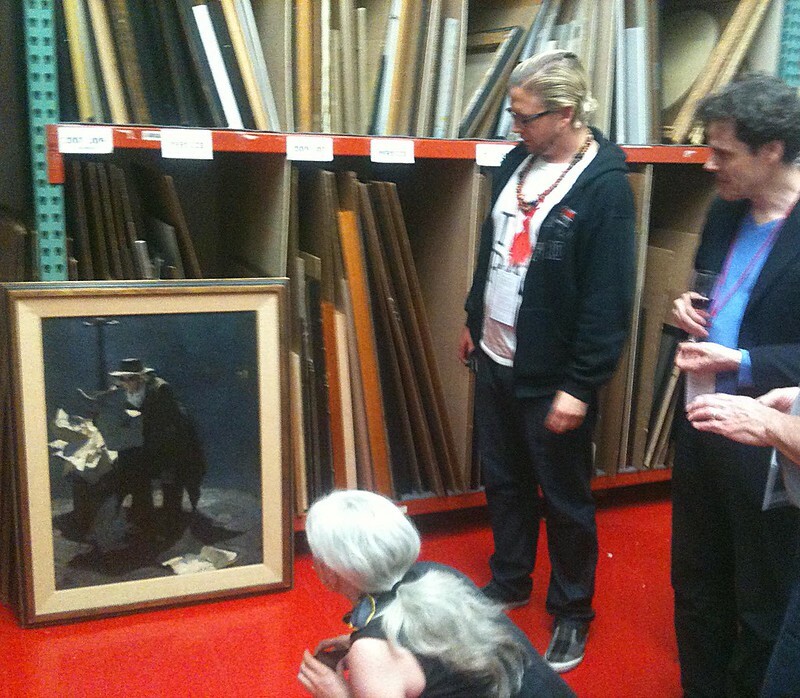 For scale, here's (CW) Ted Michalowski, Roger Reed and Jaleen Grove admiring the painting in the 5th floor collection room. 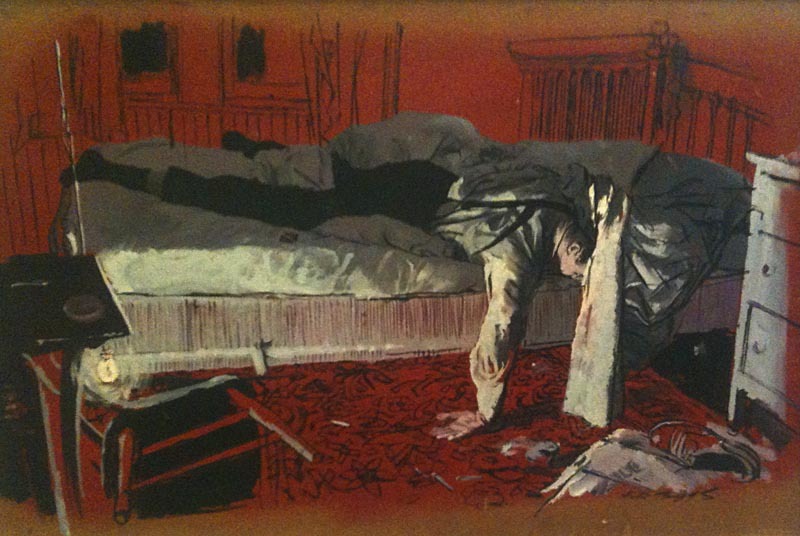 Roger explained that Allen was a more literal version of Saul Tepper or Pruett Carter, by his estimation. 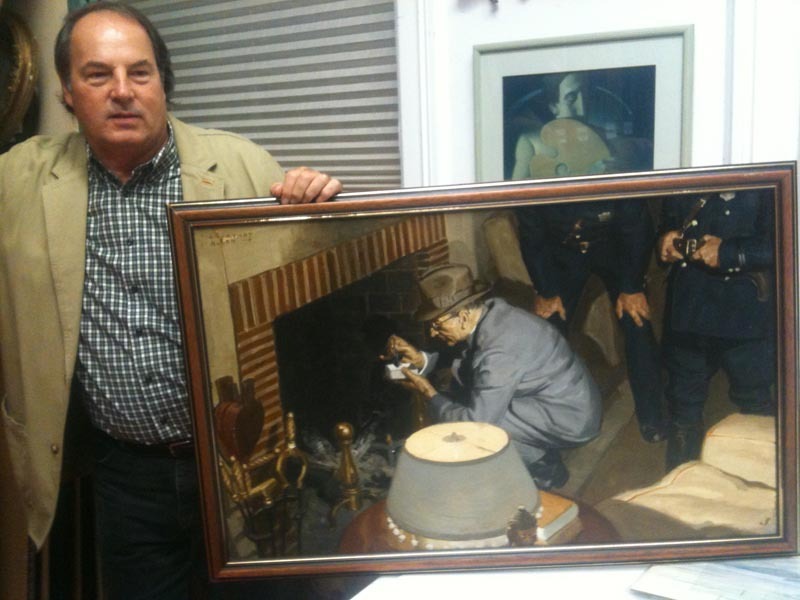 His work was "similar to Jerome Rozen's or Lyman Anderson's but he didn't work for the pulps to my knowledge," said Roger. 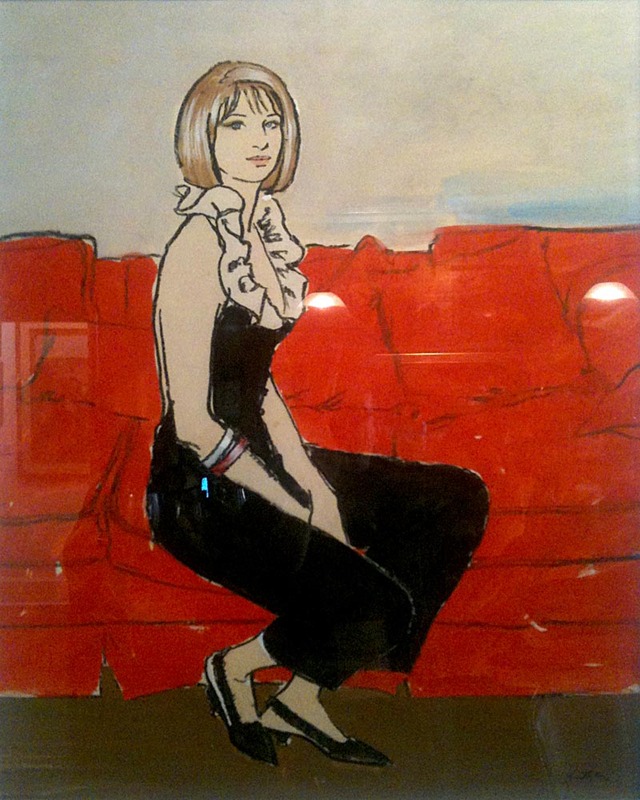 ... and yet another Briggs original (one I've long admired) that I snapped as I was heading back downstairs to say my goodbyes. One last photo... I couldn't let this one pass. This was hanging in the downstairs bathroom. Art by Al Moore. 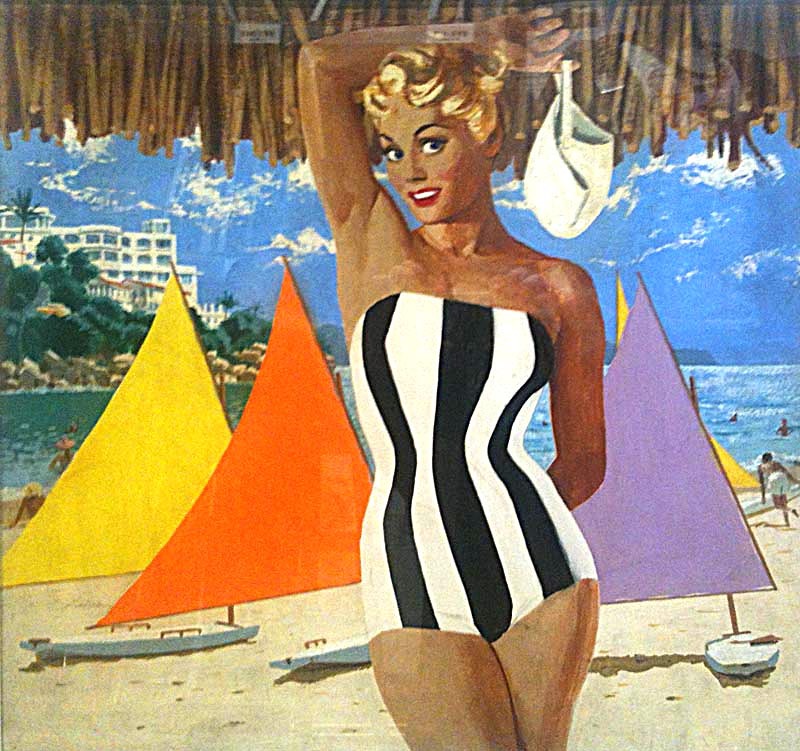 This is the program from the 1958 Illustration Show. Yes, 1958. And we thought we knew how to party! 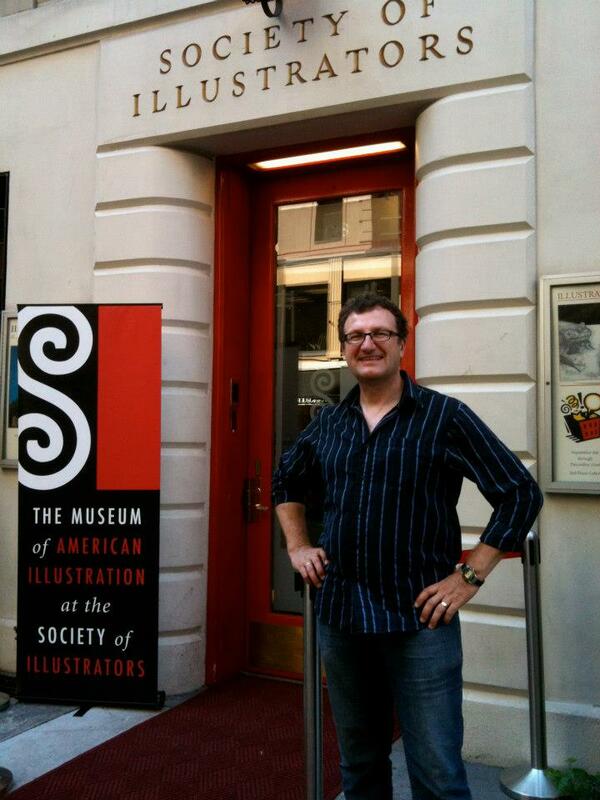 Many thanks to everyone at the Society of Illustrators for a spectacular weekend of art, education and friendship. Always a treat to peek inside the Society's collection. Thanks for the look! That Cornwell was amazing. Easily one of my new favorites. That's some great stuff you met there! These works really deserve to be framed and the places they're exhibited at cannot be prominent enough. 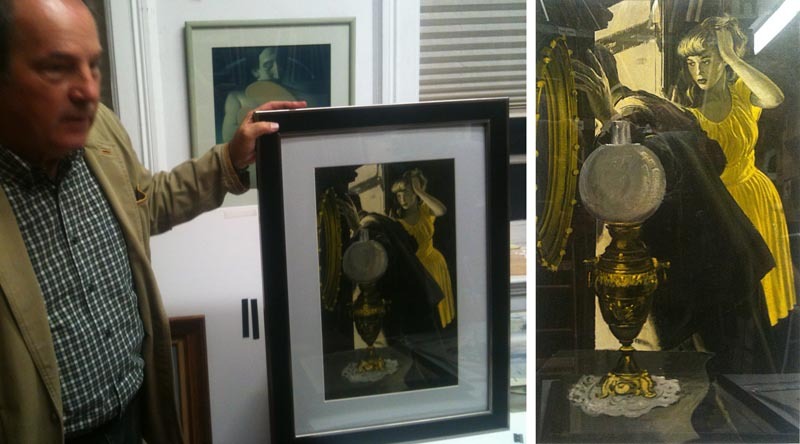 As the framed illustrations you photographed are glass-covered, they do reflect. 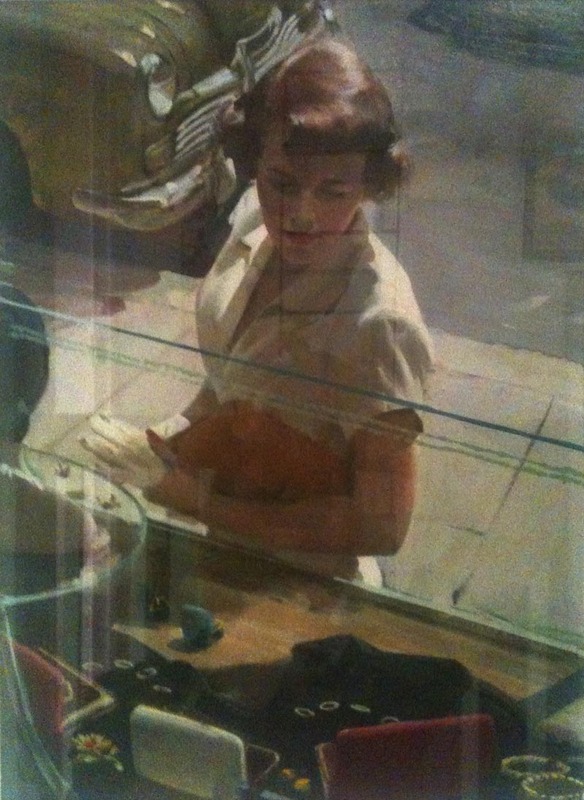 This effect gets a most fascinating turn in your favourite Harry Anderson illustration: the woman looking at the jewellery from behind the glass of the shop window. Wow! Great times for sure! Wish I could have been able to make the trek. Thanks for the post and the pictures! (I'm a die-hard Leyendecker fan). 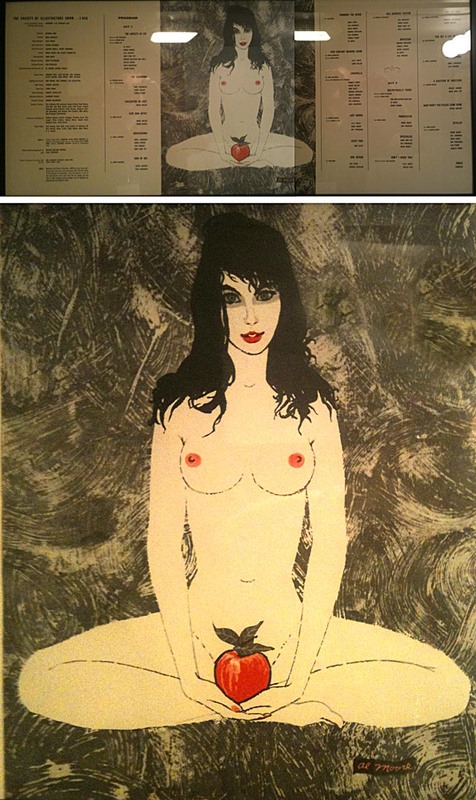 Shame these masterpieces aren't available for the public to view in a more open venue/setting. Wow, that looks really cool. I'm working as a writer in https://coolessay.net/ but in my spare time I'm trying myself as a beginner painter. So at this time I'm looking for any advice s for beginner painters, and I think that on your website I could find someone who could help me with my hobby. I'll be really glad if someone will advice me some interesting online courses or webinars related to this field. Thank you.